Winter break has to be the best time of my Uni life, so far. I have cool parents who allowed me to skip 2 weeks of my 2nd semester to go Sydney with my high schoolmates first and then to meet them up at Bangkok for a 4 days trip. It was impromptu, really. I was casually telling my dad that I wanted to tag along and so he asked me to check the quickest and earliest flight to Bangkok that is closest to their flight time. 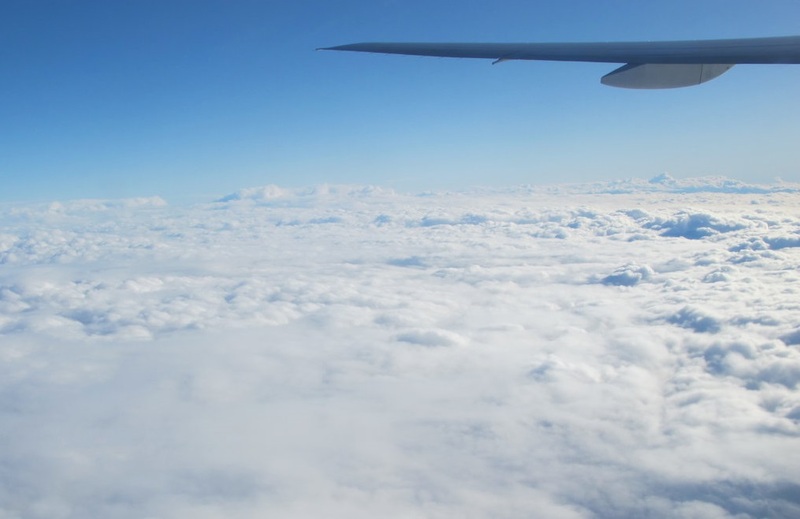 To be honest, at one point – I was quite hesitate to fly over because it’ll be a long flight to/from for just a 4 days trip. But since my parents’ anniversary & birthdays are coming up soon, I thought it would be nice to pre-celebrate it with them. So I looked into a few airlines, did flight comparisons on the air fare and timing and finally I settled with Thai Airways. It wasn’t the best deal I could get, it’s $829 return but because it was a direct flight and timing was the closest upon my parent’s arrival so this was it, booked and all good to go! It was a 9 hour long flight and I was thinking to myself, please let no one sit beside me so I can have the space to stretch and guess what? 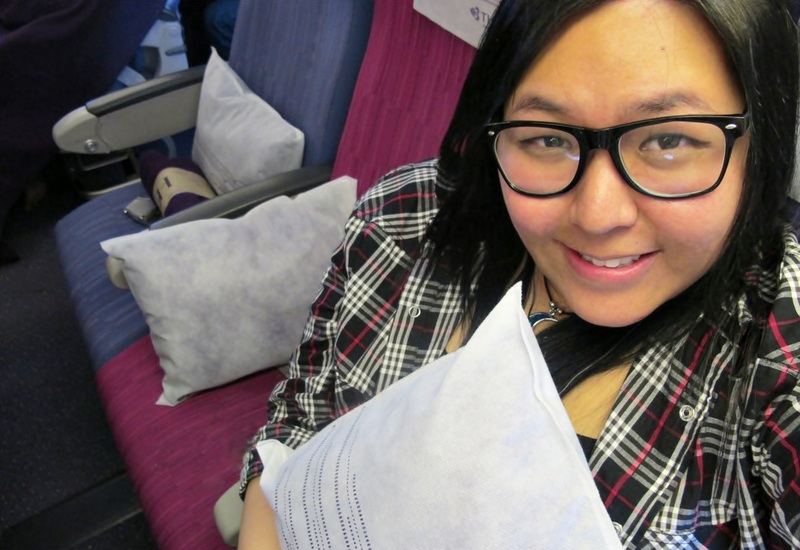 Not only there was no one beside me, there was no one in my entire row – just ME, MYSELF & I. Feeling like I have strike the lottery! 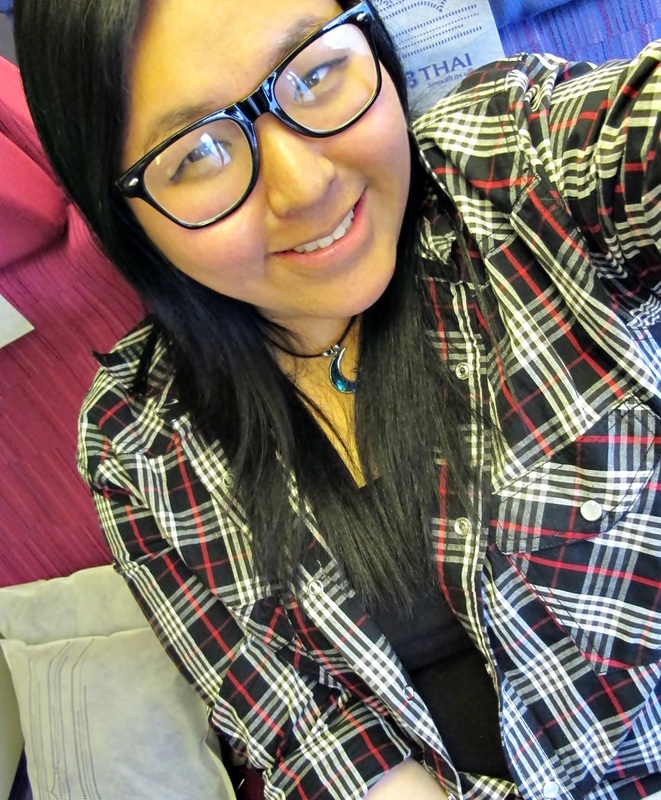 It made my journey to Thailand less restless as I am able to move around & change position whenever I feel like it. It was clear sky shortly after leaving Melbourne and sunset sky when we are about to reach Bangkok. The time difference sure has something to do with this. But it was all good though, I feel as if I have been in this flight for an entire day! 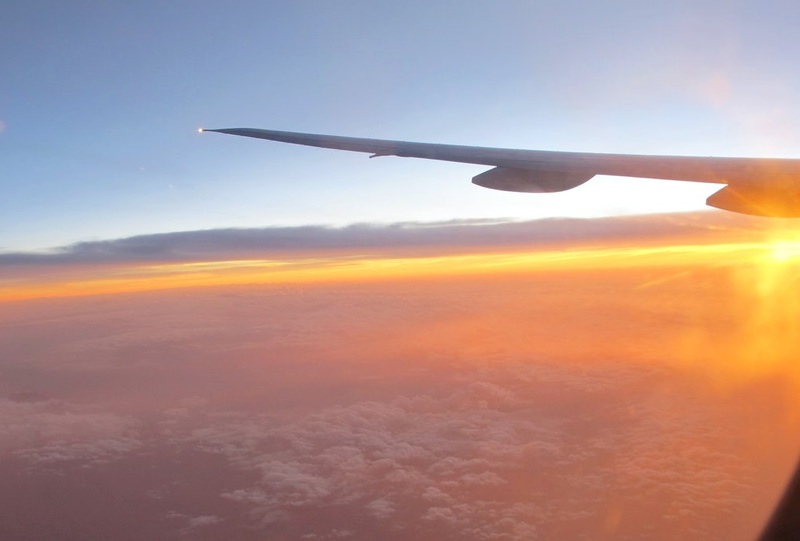 Couldn’t imagine how I would feel being in a longer haul flight to U.S or Europe. Its either I pop in some sleeping pills or I shall keep myself entertained with the most interesting movie ever. I had 2 meals on board. The food was good & very well presented, especially the Pad Thai that they served for dinner. I dare say it was the best Pad Thai I have ever tasted so far [not exaggerating], not even local Pad Thai served in Thailand could pleases my taste bud like this one. 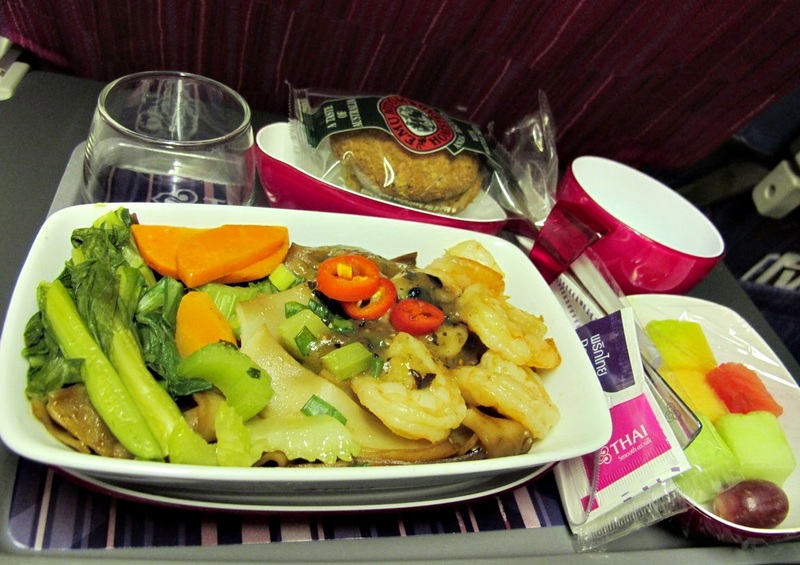 I fell immediately in love with Thai Airways after this first time flying with them. 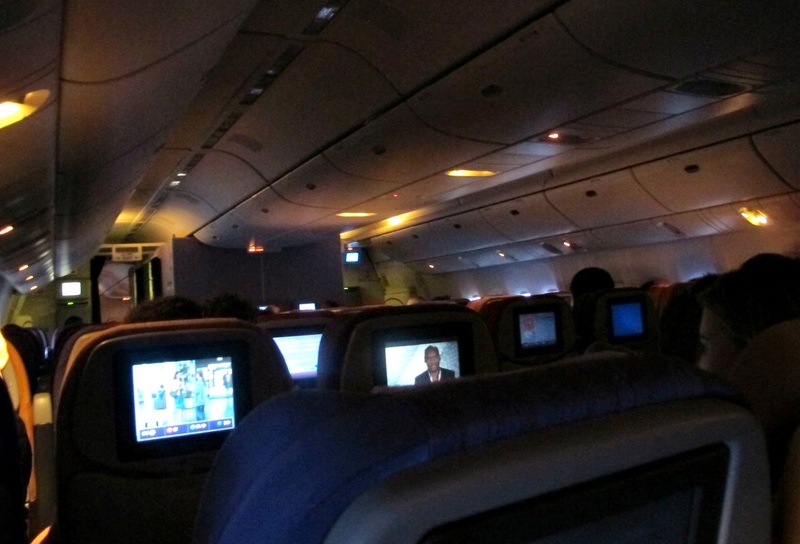 Their hospitality on board was top notch, the steward/stewardess was really accommodating & full of smile on their face. 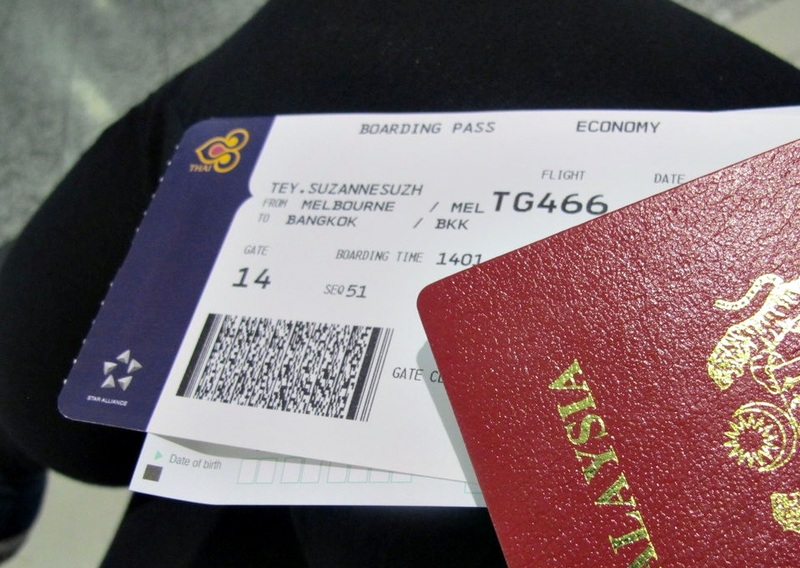 There is no way I would decline flying with Thai Airways if I had the chance to next time. 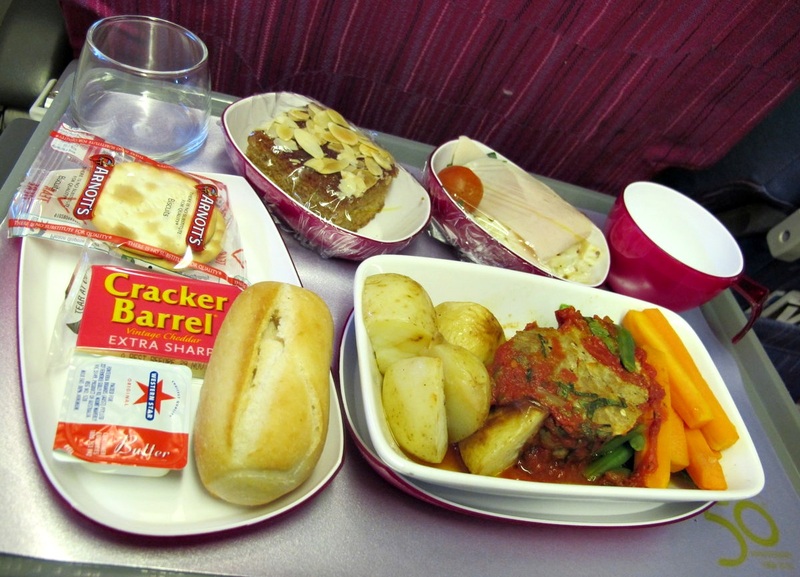 Posted in Airline's Reviews, Holidays / Trips / Getaways, Travel and tagged Airbus A380, Bangkok, Melbourne, Thai Airways, Thai Airways Review on August 14, 2011 by zannnes.